If you consider Windows Server to be secure by default, you might be making a big mistake. 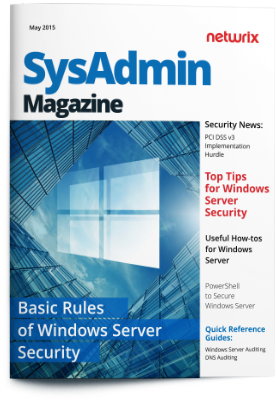 Dig into the May issue of SysAdmin Magazine! 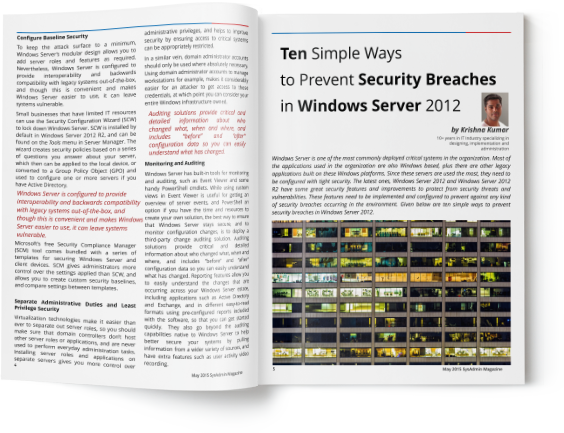 This one is full of quality advice about most ways to secure Windows Server: in a form of articles, guides and how-tos.